Hannah first started working at BVC part time as a high school student and became a full time staff member several years later. She now works full time with the Wayne County Health Department but still works part time with us on the weekends and "fills-in" if needed. Hannah likes to spend time with her boyfriend Cody and her family. Some of her favorite activities include the outdoors, fishing, riding 4-wheelers, and spending time at the beach. Riding a 2006 Harley Sportster motorcycle is also one of her favorite hobbies. 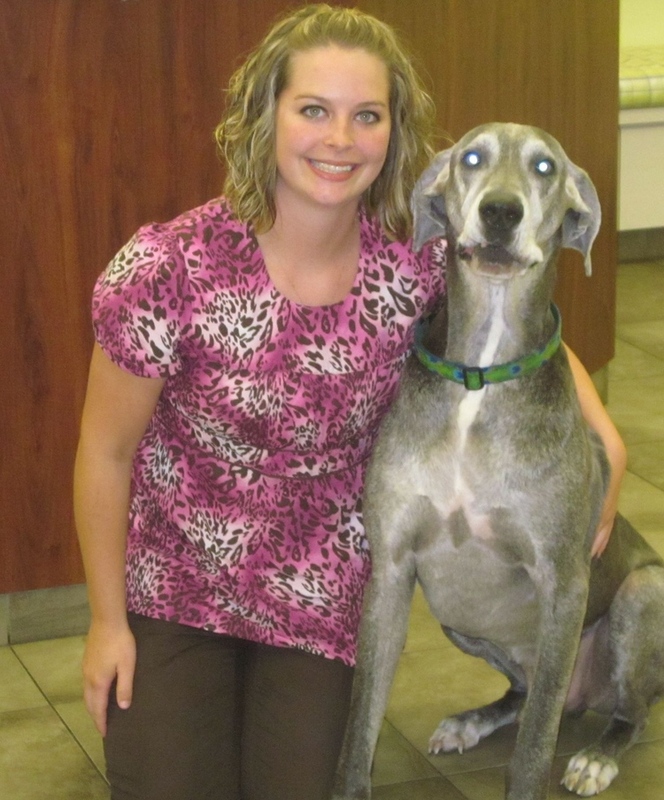 She has a Great Dane "Toby" and is always trying to keep up with his high energy antics. She also has a cat named Jemma and Charlie the Chesapeake Lab Mix. Hannah's infectious smile and caring personality uplifts both BVC clients and staff members.